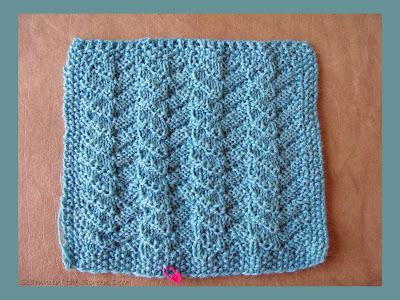 My knitting needles have been busy. 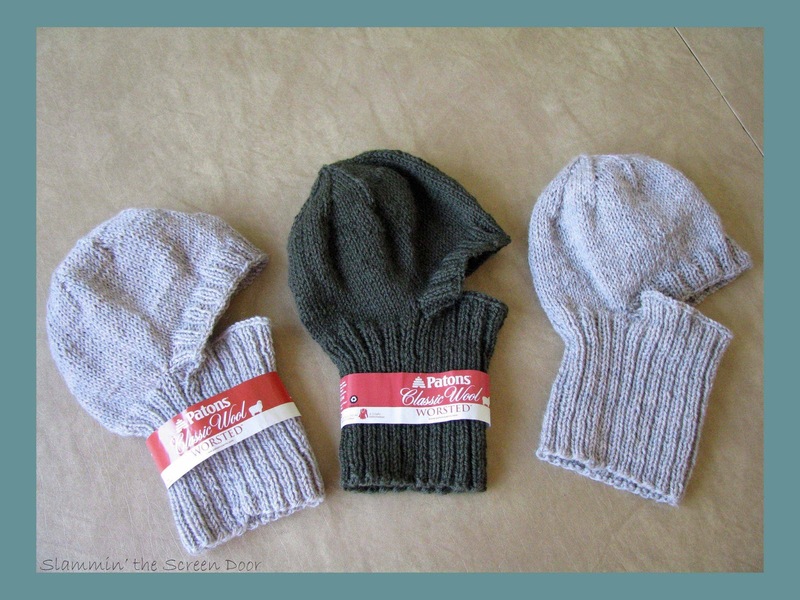 I made three helmet liners for this year’s Operation: Warm and Fuzzy campaign. My regular readers will remember this, an activity my former co-workers and I would do each year for the soldiers. 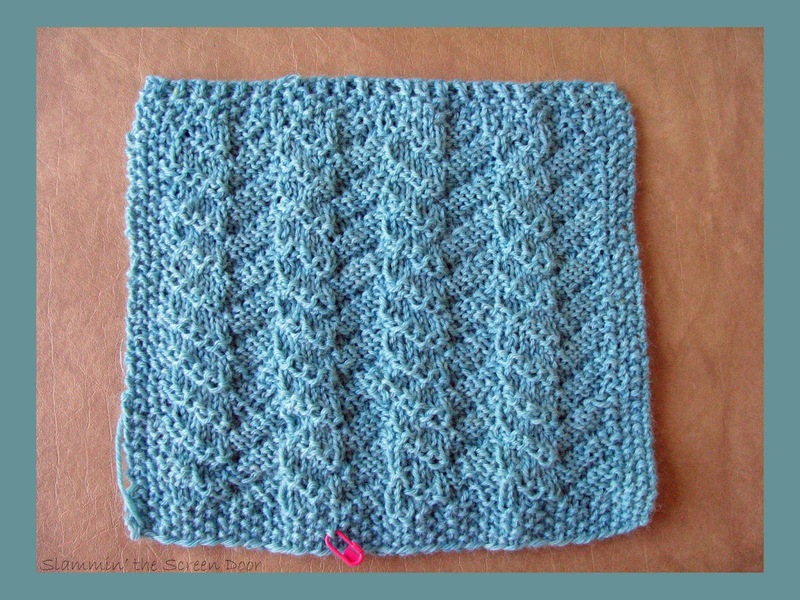 Even though I am no longer working with them, I’m still helping out this year as they lost quite a few knitters. This is block number 1 from the Building Blocks book that I told you about here. 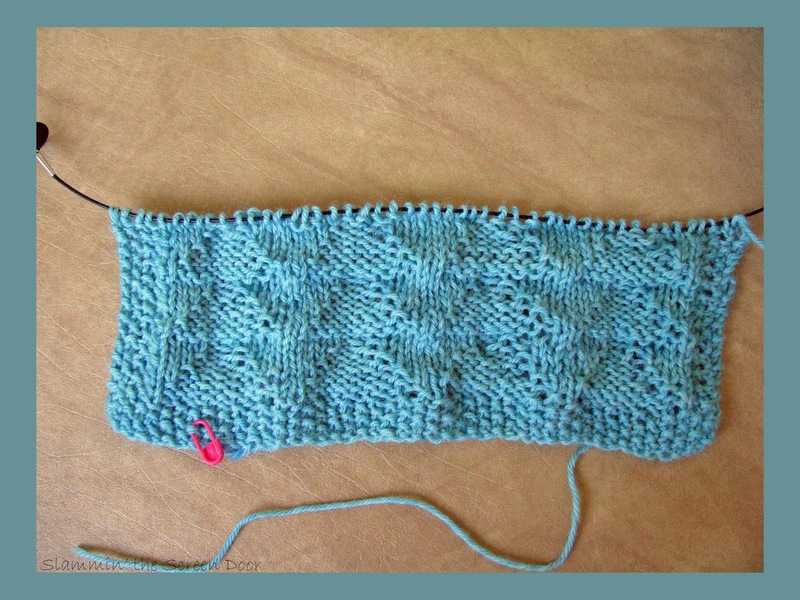 Block 1 teaches simple knit and purl stitches. This is the beginning of block number 2 which offers a lesson in reading charts. 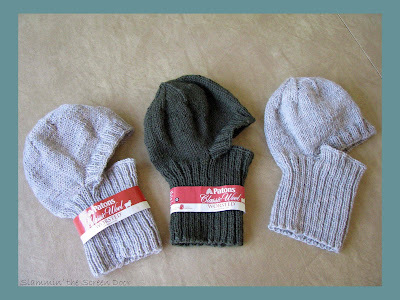 I’m enjoying the book and will spend more time on this project now that I finished the helmet liners. 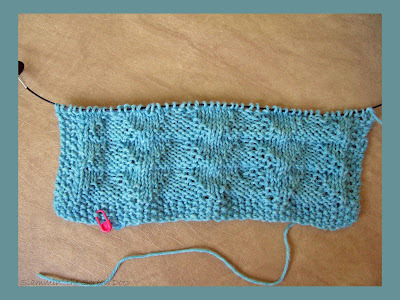 As a matter of fact, I am working on this today for my Slow Sunday Stitching project. Check out Kathy’s link here to see what everyone else is up to. Two cuts of some adorable red fabric, a pin cushion and zippered bag that Selina made. 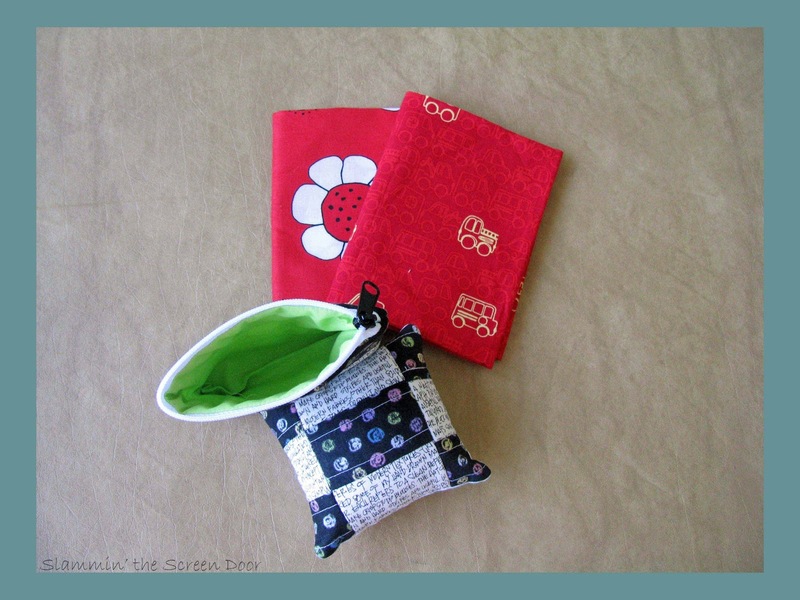 You have to check out Selina’s post on how she made the bag…genious! In my next post I will share the projects I made while attending the American Embroidery Conference last month.